Committed to its partners and users performing at the highest possible level, Adamson Systems Engineering is introducing a comprehensive and standardised Educational Program for 2017 and beyond. 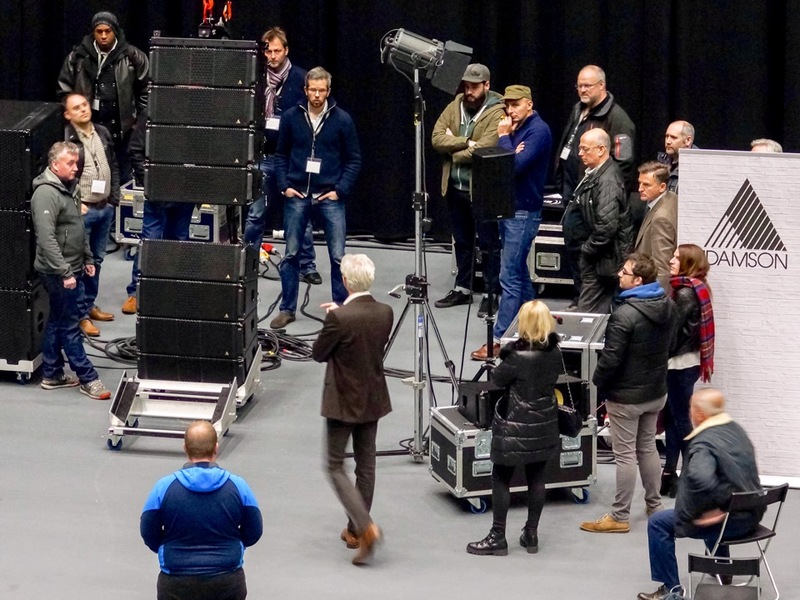 The tiered program offers a hybrid of general live sound principles and product-specific training to members of Adamson's global network and the public, from novice technicians to the world's top integrators and engineers. "While Adamson has long held training programs at a variety of skill levels, we are now globally standardizing our Education Program to ensure our users can deliver the same level of quality worldwide," comments Jeremiah Karni, Head of Education at Adamson. "Sharing our extensive experience in designing and deploying loudspeaker systems with our users is very rewarding, and we value their feedback for the continuous improvement of our product range." The Adamson Education Program begins online with pre-training material consisting of video tutorials and user handbooks designed to put participants on equal footing before diving into in-person training. The in-person component kicks off with Applied Certification, a two-day course designed to instill the framework needed to properly design, deploy, and control an Adamson loudspeaker system, utilizing Blueprint AV simulation software and Lake Controller. A handful of Adamson's global partners have already taken advantage of the Applied Certification program and their feedback on the content and resources provided has been overwhelmingly encouraging. The first public Applied Certification sessions will be held in Escondido, California, on Feb. 22nd and 23rd and Toronto, Canada, on Feb. 27th and 28th, followed by a series of public sessions in Europe, Asia, and the U.S. While users take advantage of the first tier, Adamson is developing the standardized Advanced Certification and Adamson Certified Engineer programs, set to premiere at the end of 2017. Expanding on the knowledge base covered in Applied Certification, the three-day Advanced Certification course will explore more in-depth aspects of design and control for touring engineers and integrators. All Advanced Certification alumni are encouraged to apply to the Adamson Certified System Engineer program. An ACSE will receive a certificate of achievement, making them valuable assets to current and potential employers using Adamson loudspeaker systems. "Education and training is a key component of the Adamson integrated system offering," adds Marc Weber, Director of Product and Brand Management. "Hands-on training and other educational initiatives like tutorial videos elevate the performance of Adamson products by optimizing their application in the field. This improved performance is not only rewarding for the end users; it also increases the demand for Adamson products, maximizes inventory utilization at rental companies, and enhances the lifetime return on investment for all of our partners." For more information on the new education program, visit the brand new Adamson website at www.adamsonsystems.com. The elegant new design features an intuitive and easy-to-navigate user interface to get visitors the information they want in minimum time.